Located at 7th and Chestnut, Aqua is absolutely one of my favorite Asian restaurants in Philly. Shredded mango, flavorful chicken, sweet and savory spices–all tucked in mango shells! This dish wins in presentation and style. Check out the cool bowl! 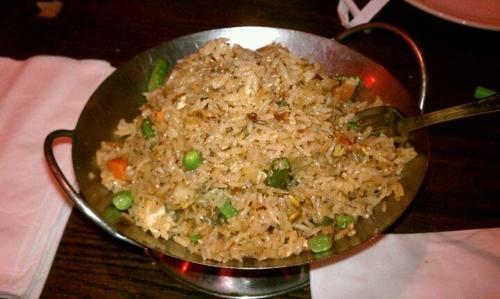 Aqua’s stir-fried rice was amazing. 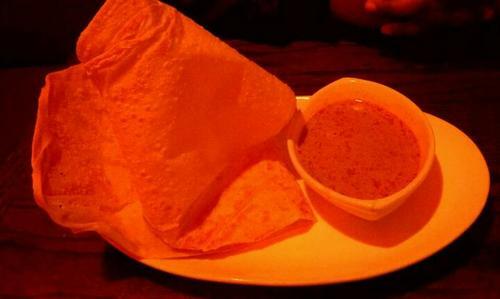 This Indian Pancake appetizer was the star of the show. The pancake is light and fluffy and the sauce is oh so yummy. Very warming dish.